Navigating through B.C.’s understaffed and complex health system is a challenge for anyone, but can be particularly daunting for Vancouver Island’s First Nations people, says a nurse tasked with assisting Nuu-chah-nulth-aht to find proper medical care. At the end of June 2018 Benedict Leonard joined the Nuu-chah-nulth Tribal Council’s nursing department. 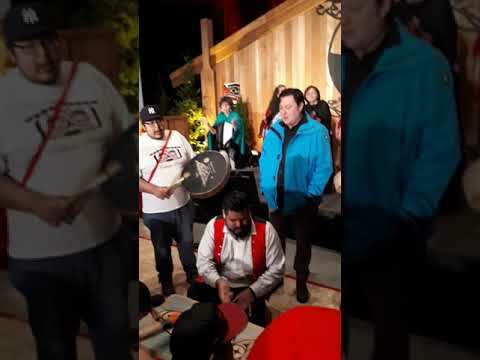 Since then he has focused his efforts towards helping Nuu-chah-nulth find the right medical care in Port Alberni, including working weekends at the West Coast General Hospital. That generational trauma includes memories of the assimilationist practices of the residential school system, as well as other federally mandated institutional legacies, such as the Nanaimo Indian Hospital. In operation from 1946-66, this hospital received thousands of First Nations patients for tuberculosis treatment. Former patients recall being strapped to beds, sometimes even being physically or sexually abused. A $1.1-billion class action lawsuit is developing from the victims. Although these institutions closed more than a generation ago, Leonard still sees their effects on his clients. NTC nurses have been working to inform other medical professionals of the particular challenges faced by First Nations patients, said Lorraine Harry, the tribal council’s home care nurse clinical leader. It’s easy for a solution to get lost in the system, as Leonard found while working with one patient recently. The person was suffering from ascites, a condition often brought on by liver failure which causes a bloated stomach due to the accumulation of fluid in the abdomen. The doctor recommended a mechanical component be inserted into the patient to allow regular draining of the fluid. “The doctor suggested that it happen because of the complicated belly pressure and toxins, and then the hospital said you’re not approved because it’s not covered under MSP,” Leonard recalled. Facing a huge risk of infection, the patient was forced to visit the hospital’s emergency room every few days for the fluid to be drained. The nurse navigator will soon no longer be stationed at the hospital two days a week, allowing Leonard to focus more time on connecting with clients in Nuu-chah-nulth communities on the coast. But he’s challenged by not being able to access patient’s medical records, as Island Health’s charts are only available while working within the health authority. Efforts are underway to improve collaboration between the NTC and Island Health, with hope for a memorandum of understanding to be signed in the future, said Harry. “That would improve the collaboration and communication between, and it will alleviate that confidentiality piece, ensure that we are part of that circle of care,” she said.